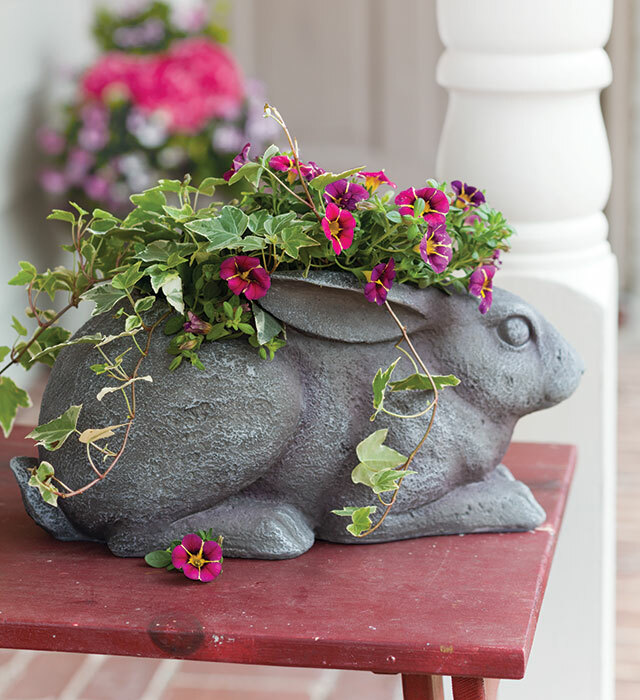 This adorable bunny planter embodies the lively flora and fauna of the season. 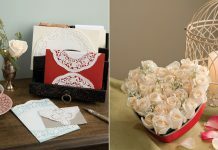 Gentle ivy spills forth, creating movement, while delicate petals add color. 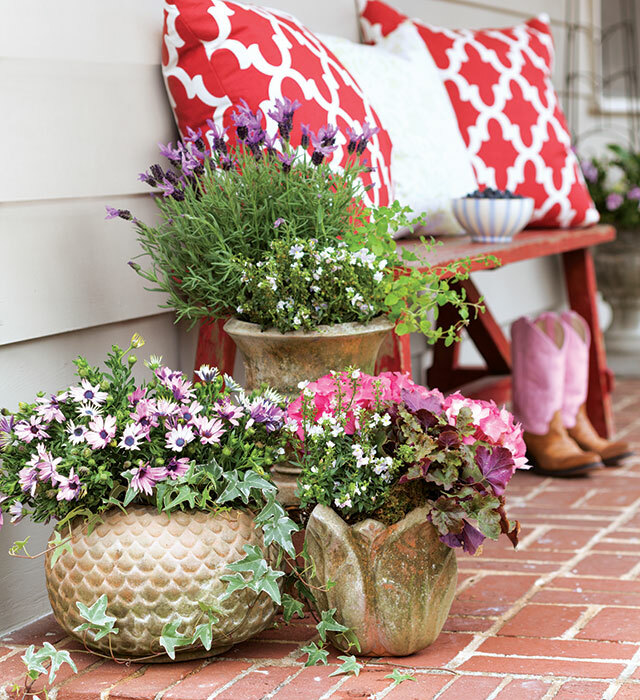 Rich in vibrant pinks and saturated purples, this accent adds a dash of lighthearted charm to any veranda vignette. 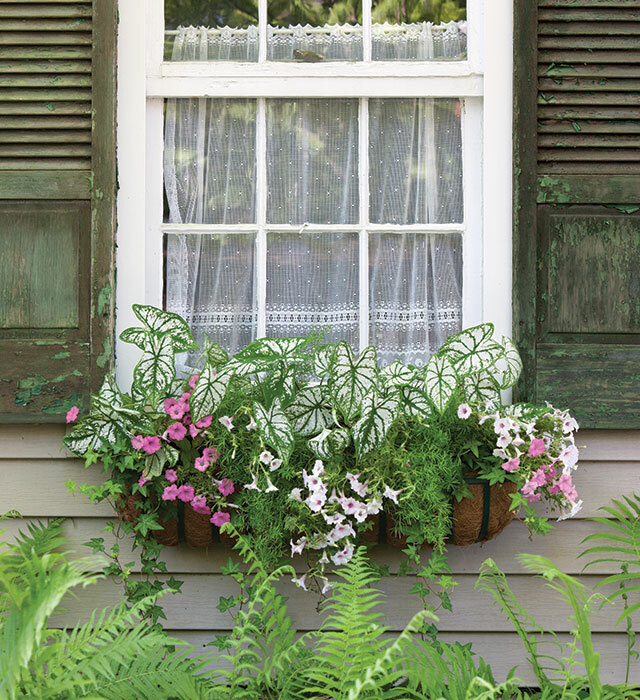 A hedgerow of bountiful ferns provides a backdrop of greenery that is the ideal setting for a picturesque window-box display. This arrangement incorporates tall, eye-catching caladiums alongside blushing hues of cascading petunias. Prolific asparagus ferns complete the lush design. 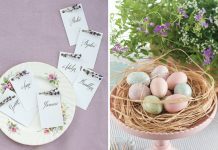 Set a sweet summer flower arrangement on your porch side table, and enjoy its charms while sipping a refreshing iced tea! 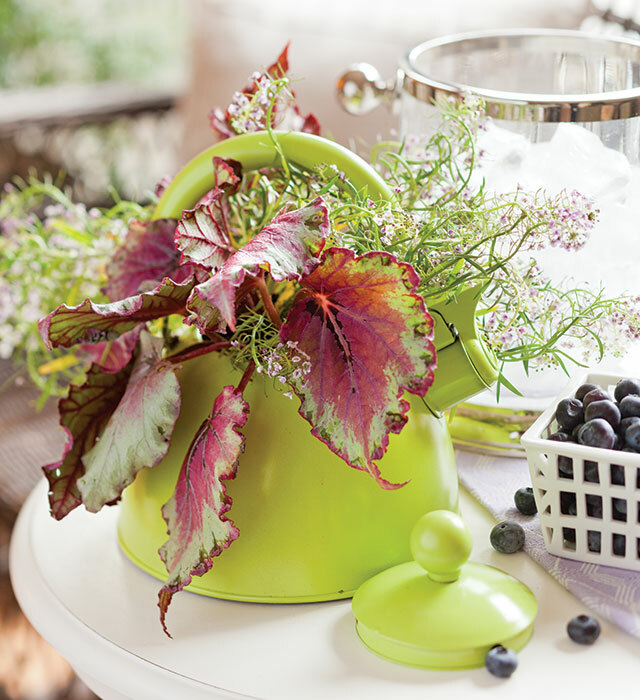 For this look, drill several small holes in the base of a vintage teakettle, then spray-paint the kettle in a bright summer shade with a gloss finish. We filled ours with Proven Winners’ lobularia ‘Blushing Princess’ and a pink rex begonia. 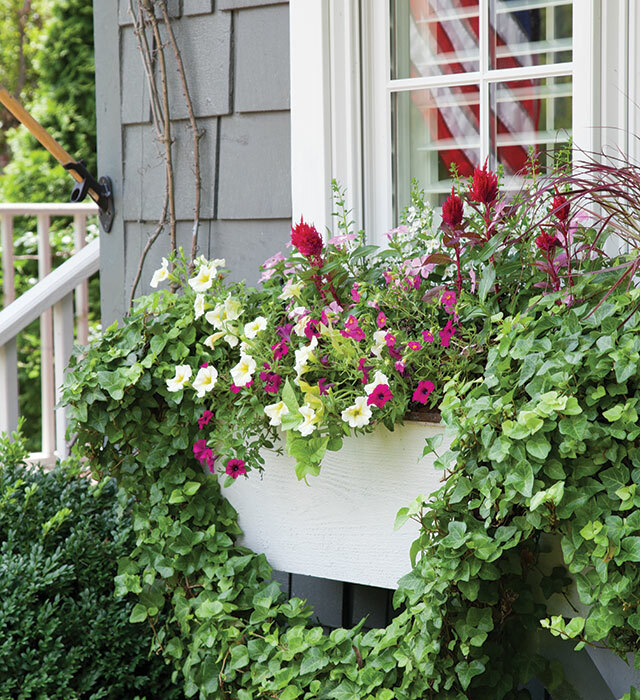 Arrange pots in varying shapes and heights, and fill them with towering lavender, bunches of Osteospermum in ‘Soprano’ light purple, gorgeous blooms of pink hydrangea, trails of variegated ivy, and patches of fragrant oregano. Over time, these moss-infused terra-cotta pots by Campo de’ Fiori will develop a textured patina of vibrant mosses that evokes a sense of timeworn elegance. 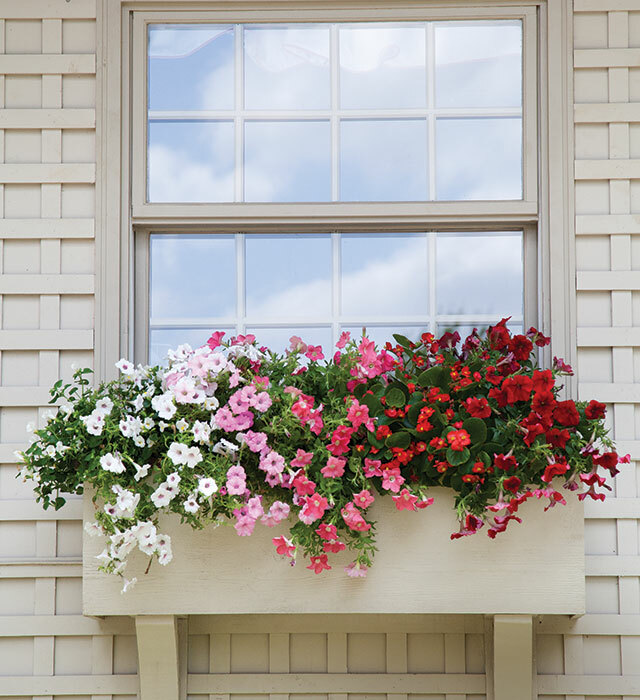 For a window box that feels effortless but makes a big impact, focus on a single bloom in your favorite hue. Our pretty petunias in shades of pink, graduated from light to dark, create a striking ombré effect. This stroke of color lends charm without distracting from interesting architectural details, such as this beautiful latticework wall.